Valentines Day. There is a part of me that would say “it’s just another ****** day in a never ending stream of ****** days. Insert an adjective of your choice in the gaps, I’ve used most of them. But Worth would not approve of such sentiments, and rightly so. 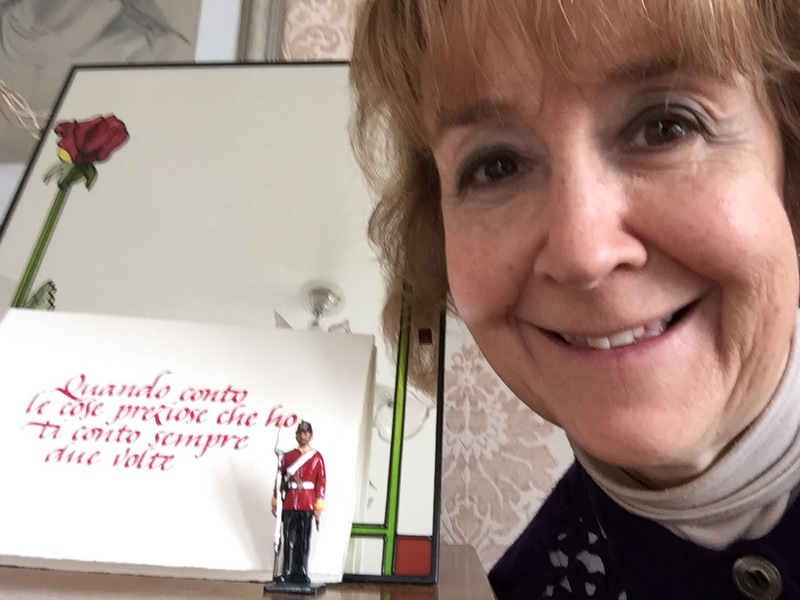 So I made the effort to take a picture of me and my soldier, with my lovely Italian Valentine card which Worth bought for me in Venice two years ago. It sits on top of the pretty mirror in the picture in the bedroom. It seems such an age ago that we were there, another world, another life. I suppose it was never going to be a great day.